In the human body, we consider love a matter of the heart. But in truth, love doesn’t exist in a heartbeat. I really can’t explain love, or hold it in my hand. I can’t package it, or donate it to someone in need. I can’t prove that it exists, but I know that it does. I’ve never had to explain to anyone that love is a real emotion, because everyone I know has experienced it. I’ve never had anyone question me as to why I love my husband or my daughter or my friends. I’ve never had anyone ask me why I love my favorite football team or why I love chocolate. My deep fondness or affection for people and things is understood….except for this one thing…. 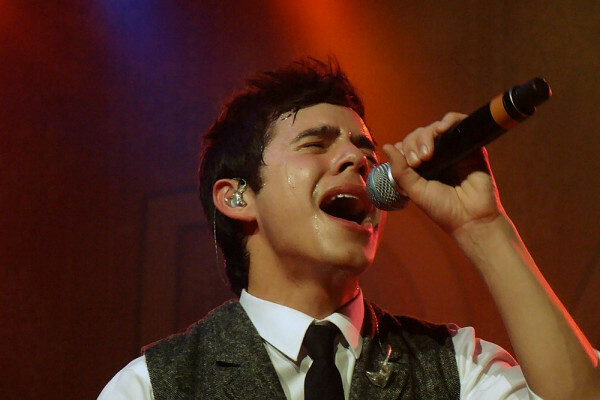 I love David Archuleta. I really do. I love him as a brother, as a fellow human being. I love his talent, his spirit, his heart for other people. I love his smile. He’s a great guy. 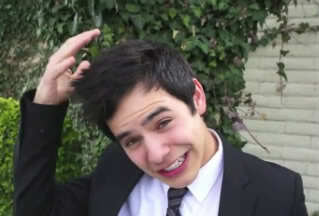 So why do I get these looks of complete and utter confusion when I mention my love for David and his music? I love my friends, they love me, I love David…..shouldn’t they love him, too? I’ve thought about this a lot. If I said “I love French fries.”, people would accept that I enjoy eating starch that’s been submerged in oil. If someone says, “I love diamonds.”, people understand, even though I see them as rocks that cost a lot of money. 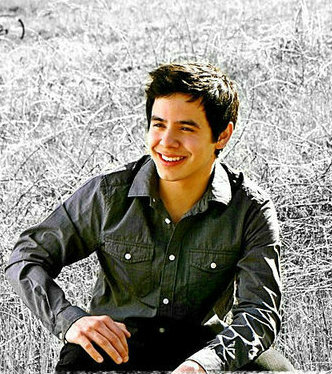 If people understand why I love a baby’s laugh or a beautiful fall day, why can’t they understand why I love David Archuleta? I guess that people can understand chocolate and French fries because they’ve tasted them. I suppose that people can relate to diamonds and babies because they’ve held them. 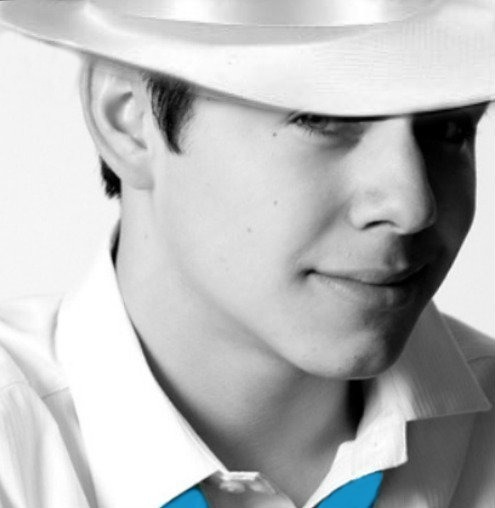 I love David because I’ve come to know him, not personally, but through his fans, his music, his book, his blogs, his tweets. I’ve seen him show kindness to people who were rude to him. I’ve seen him refuse to speak negatively about another person. I’ve watched him love other people and expect nothing in return. I’ve seen his kindness, I’ve witnessed his charity. From the moment I saw a young man sing to three judges on a television show, I’ve watched, I’ve learned, I’ve prayed, and I’ve been encouraged. I’ve met him in person. I’ve sung with him as I drove my car. 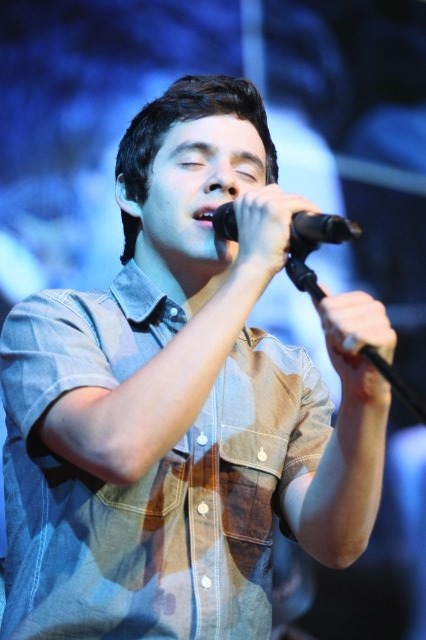 I’ve come to know people that refer to themselves as Archies, and I’ve loved them all. I love David because I’ve heard his voice, I’ve seen his joy, I’ve related to his insecurities, I’ve watched him give himself to the people around him. My friends haven’t seen these things or known him in this way. If they had, they would love him too. Love is kind….and confusing. It comes in many forms and facets. My love of people will always be more important than my love of chocolate….and much better for my waistline! My friends will love me even if they don’t understand everything about me…and I will love them even if they don’t understand my Archu-admiration. Love is patient, and I’m waiting for everyone to see the David that I see. There’s something ’bout love that’s worth the wait. This entry was posted on Tuesday, November 23, 2010 at 1:34 AM	and is filed under Uncategorized. 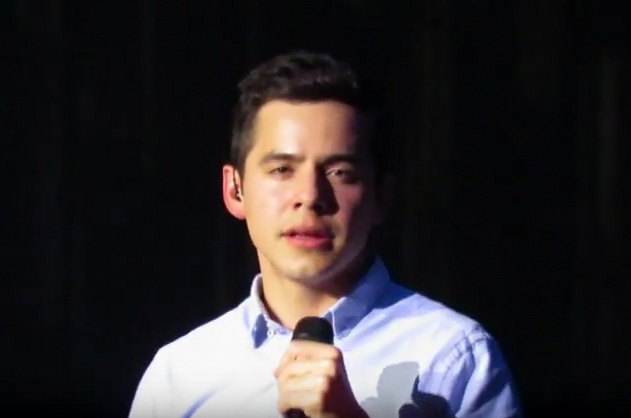 Tagged: David Archuleta, Let's talk about love. You can follow any responses to this entry through the RSS 2.0 feed. You can leave a response, or trackback from your own site. What a beautiful article and I too love David. It is so nice not to have to explain it to others who feel his love, hear his voice, and feel his joy. That is a gorgeous picture of you and Mickey with David – I’m sure there are some wonderful memories that go with that. I am marciami from Michigan. I know many of you are also extremely fortunate to be seeing David sing with the MoTAB choir!! I thought it would be wonderful if we could have lunch together on Saturday the 18th at 12:30. Please share this info with anyone you know who is going to SLC. Send me an email and let me know if you are coming. Of course, we will be eating at a Thai restaurant! Please check the MOTAB page for my email address and let me know if you are coming. More info to come so keep checking the page. Thanks. ps-the picture at the top took my breath away and opened my eyes wide. I believe that gem is from Sat when David warmed us all up. Love. THANK YOU PAULA for such gorgeous words. You said it so perfectly, so succinctly. I have a few people in my life who need to read your article; I’ll bet a turkey sandwich with stuffing and cranberry that we ALL do. Thanks for the aha moment at 6:30am. Love it! Thank you for saying so eloquently, just the right words. I have two sisters that “laugh” at my love for David. I have given up on even mentioning David to one of them, as she tends to be a bit mean spirited about my “fascination, and admiration” shall we say. My older sister is much kinder, but still teases me about being a “David groupie”,(however, hearing David sing “Be still my Soul” in Rexburg, on You Tube fan video, made her cry, and rethink the”why does my sister like this guy so much?”question.) I am going to send her a copy of your beautifully written words this morning. PS…wonderful picture of you guys with David. Mickey does get David! He’s always been patient with my admiration of David, but after meeting him and some of the Archies in Memphis, he became a bigger fan. We would both love to have the opportunity to meet more of the Archies and attend more David events! 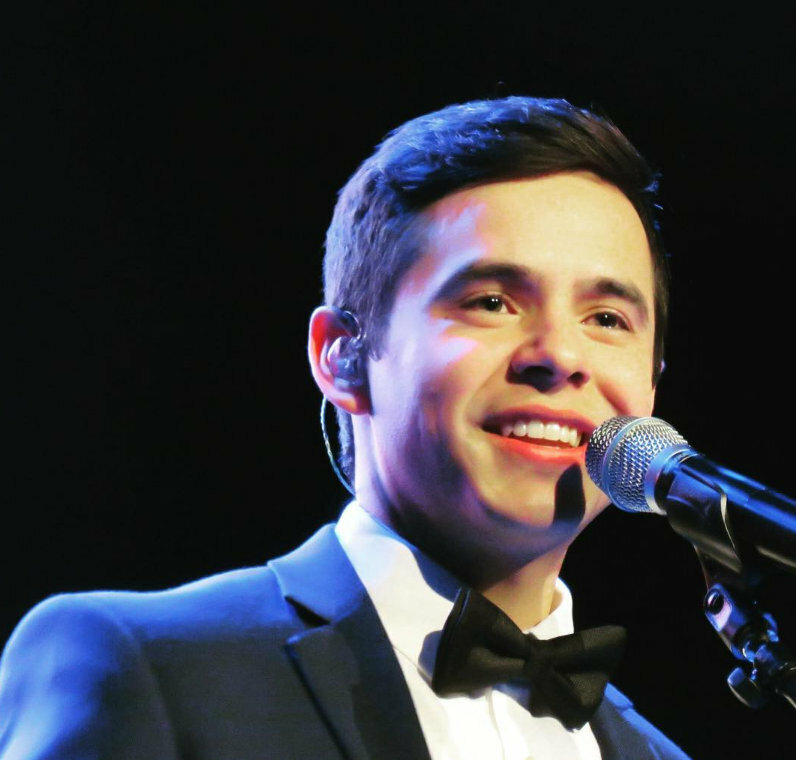 Happy Thanksgiving to all of the Archies! I am grateful for you all! I couldn’t have said this better! I feel the exact same way. I am 45 years old and people look at me like I am nuts when I talk about David, they try and make it into something strange! 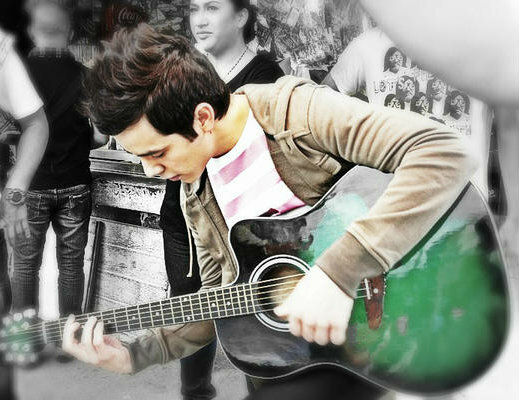 It is simply that he touched my heart so deeply when I first saw him on AI. He is such the perfect role model for our teens today. I just wish he had better play on the radio and media outlets! He is sooooo much more talented than anyone I have heard in years! Your message this morning really got to me. I love David too and while I want to shout it from the mountain tops, lately I’ve been keeping it inside.Since I’m an older fan (in my 60’s, early 60’s though), my kids in particular, except for one (ODD Maddy) have really given me a hard time. I’m close with my family so it’s been hard to not share the VOICE with them and revel in it together. Funny how it is that “kids” can be so judgmental and opinionated! Sometimes I think they are jealous of my love for David and how much I gravitate to his music and messages. Anyway it was great to read this post and know that this is a place where we can share our love and feelings. I’m holding out hope that someday I can attend a David concert with my kids and jump with joy together. Before responding here, I found my “David” hoodie in the closet, put it in the washer and am going to wear it out and about today!!!! Paula, Thank You for expressing what many of us have experienced. Thank God for sites such as The Voice where so many such as yourself feel a kinship in our love and admiration for David. Love the picture of you,David and your husband. Paula, thanks for this great article! How wonderful that we have one another – at least we understand our love for David:)! One of the blessings I know I will give thanks for this Thanksgiving will be all the dear fans – now friends – that I have met (some in person) along this journey these past almost 3 years. Paula: Not only can you “draw”, but, you write extremely well, also. This was beautifully put and I can relate to EVERYTHING you said. 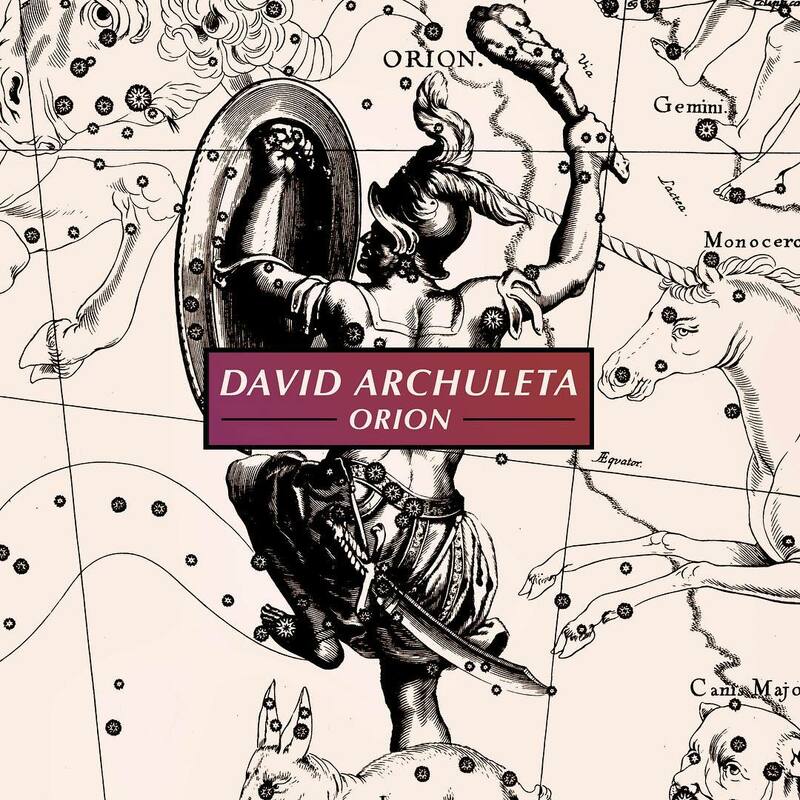 My husband very nicely took me to the Orla Fallon taping (he had a debt to repay me) and he was impressed with David, but, he still doesn’t “get it” and I can’t ramble on to him about David stuff like I can to “Archies”. Nor will he or my children read “Chords of Strength”. My sons are jealous of David and call him my “third and favorite” son. My tennis buddies, who all know my ODD (though not necessarily that term) have been the recipients of CFTH and yet they just snicker at my attempts at David conversations. My best friend would (and probably I will insist) go to a concert with me, but I still don’t think she would “get it”. I wish I had one person who is close to me who would “get it” so I could “squeeee” all my little heart desired! I love all the comments from everyone because it’s very comforting to me and instead of feeling “different” I see we’re all in the same boat. Hopefully one day those poor people who don’t enjoy David as we do, will somehow, someday “see the light”! 7. Gwen Rogers, you just bring your ole 45 year old Archu-lovin’ self over to my house! I don’t have teens; just an 8 year old and he’s the only family member I have who doesn’t go running from a discussion of DA. My friends just laugh it off (and then probably talk about how nuts I am once I am out of earshot). I have to remind him frequently about his obsession with football and Brett Farve-u-leta, as I fondly refer to him as. I’ll tell you something very private that has been happening a year ago. I think it started during the Christmas tour. “God cares for David, take a good sleep and a good rest. “God, give David the strength to say NO, when to decide. Reading the article reminded me that, I do not know why, I started to pray for David, perhaps intuition big changes. I’ve always tried to read in David, his expressions in his eyes and on his clothes (do not laugh). I think I’m starting to see a drastic change. I do not look very happy for the chats, but I look comfortable on stage. I want David’s happiness, no matter what activity he chooses. Think of your smile, glad my days. Gladys, I pray for David too. Thank you for sharing that very personal experience. I know I feel the same way. 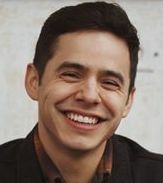 I think all of our prayers and positive messages to David will help sustain him thru this slow and steady rise in his career and with the personal challenges he may face. Paula, thank you for the wonderful post. I really enjoyed reading it. David’s kindness is one of the things that draws us all to him…the world doesn’t see or recognize that much anymore. He came that way and I think his feet are still firmly planted in heaven. Thanks so much for sharing your thoughts! Just received the Japanese version of TOSOD and was so happy to hear NEBTD on the CD player. Ordered it through YesAsia and all arrived in good shape. It’s fun to see the Japanese writing of the lyrics, etc. PaulaFOD, I think you speak for all of us who are truly fans of David. My whole family and all of my friends think I’m nuts, or sick. I don’t consider ODD an illness, but they do. My oldest son even got mad at me for giving his 11 year old daughter a copy of Chords of Strength. He doesn’t want me forcing David on her. REALLY? Jealousy is a strange thing. I asked her if she wanted his new album, and she, of course, said yes. I had amazon ship it directly to her, so I didn’t have to have a confrontation with him. I hope someday he will see David for the wonderful role model he is, and not misunderstand my feelings for him. I have a theory that those who feel like we do about David have been handpicked by God. He knows we will love and support him unconditionally. And that may be just what he needs in the days ahead. Paula I wrote a comment this morning and it was accidentally deleted so I am here again. Your article was most refreshing and enjoyable. David has become a member of many households, mine included. Some tickets slipped throught the cracks (the ticket office expression) and those are the ones that Canadians received last week or so. All other tickets for all other concerts need to be picked up at ‘WILL CALL’ as early as two hours before each performance (or perhaps the days before when the office is open one will have to check on that). I am so relieved that at least I found out where they are and all is well! Thanks to my husband for his conversation with them that is ssooo important to Canadians who did not know and probably any other country as well!! Mark 2:20 you are famous! Love that guy for mentioning you and The Voice.! Thank you for the David love! I love him in all the ways you described. You did an awesome job with this piece. Thank God for all the David fans who understand me and this ODD! SB, Oh my gosh! Did you hear the ending? When the man “Sideburnersol” told David about standing by an Adm form The Voice? It was meeeee! I heard him and some other Chasters making plans to go to CPK after the event, who would’ve known. Some very nice Charice fans!. He also gives us a shout out on the comments of the video! In that time spent talking with him it became obvious that Charice also has some very nice fans supporting her. I love the simple message of your article. How can you say you don’t like someone if you don’t give him a chance? I get the famous eyeroll from several suspecting online adult friends who are so ready to judge when they don’t have a clue. How blessed we are that we have more than a clue and saw the light from the very beginning! I was all prepared to watch a run of the mill video of fans having dinner after the Tree Lighting Ceremony! Yowsa! What a nice guy to mention djafan (aka dajfan lol) and The Voice. I think there was a look of recognition on David’s face. Did y’all see it? I think this calls for another MGR! “I love David because I’ve heard his voice, I’ve seen his joy, I’ve related to his insecurities, I’ve watched him give himself to the people around him. My friends haven’t seen these things or known him in this way. ~~~If they had, they would love him too”. Oh my gosh, Paula..did you ever hit the nail on the head with your article. I’ve come to believe that love is manifested in the way someone “makes us feel” and anyone who “knows” him as you described understands completely why we love him. Did you guys see that TOSOD CD is at the top in international chart sales? So happy for David! Have a great evening everyone! Here is the info about the charts…at the top! Just got a phone call from a friend who is a poster here at The Voice. Here is the picture she sent via text. I will let my friend tell her story a bit later on tonight, in her words. Paula, Thank you for the beautiful article! You speak from you heart and we hear you! Beautiful daughter I might add. Your article made me dig deep to come up with a reason I can convey about “Why I love David.” Its rare in one lifetime to meet a person who has so much natural talent . He lives life on his terms. 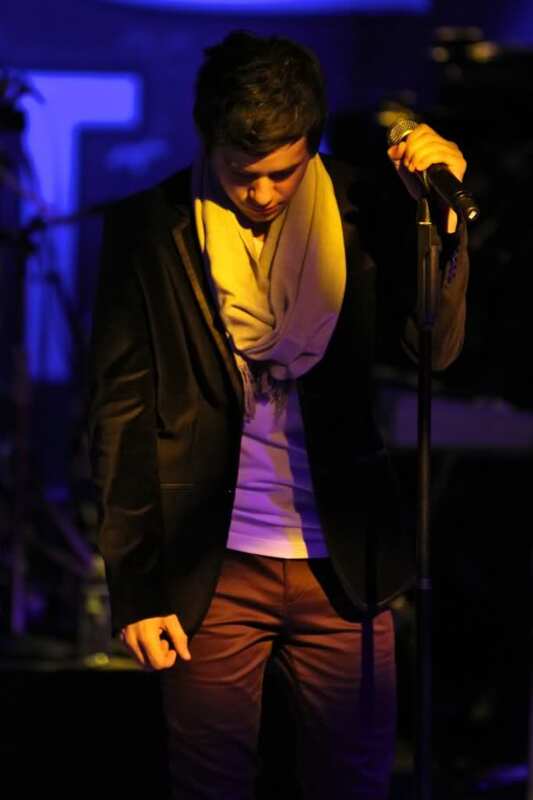 He does his music and sings songs that uplift. There are few artists who never disappoint. David is top of the list. 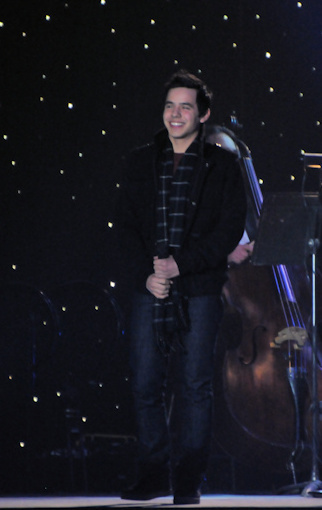 David Archuleta on Fort Wayne’s Local Fox News! I have the same reactions from friends and family. 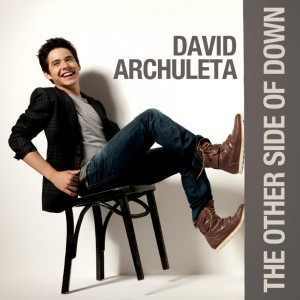 The thing is…I know I’m right in my heart and my head about this love I feel for David. They are the ones missing out! So David had a photo shoot with or for National Geographics in Boston?? OK, then. Who was David with at the restaurant when he was “ambushed”? He couldn’t have been alone?! The blond lady behind him looks like one of his Aunts, & the “bored looking” boys standing with her could be his cousins, maybe?? Just speculating. David looks soooo tired in that photo with YJf’s daughter. OHHHHHHH WOW! TOSOD is NUMBER ONE on the International Foreign charts!! Actually, ALL three albums are in the Top Ten with TOSOD at NUMERO UNO!! That is Fantastico! Now I will read Paula’s article…. Here are the charts Munkfod mentioned!!! Paula, what a great article. You wrote exactly what so many of us feel. I do believe that someday everyone in my family will see the light, it will enrich their lives, and I will smile gratefully for that blessing. 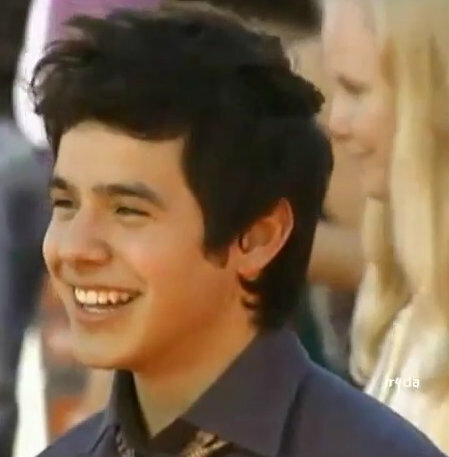 Charice’s fans were very nice and gracious, David looked exhausted in that video. I thought I saw that moment of recognition at “The Voice” too. YJ, your daughter and her friend are adorable! Is she a fan? Can’t wait for the story. Congratulations big time to David for TOSOD and it’s success outside the US. We can be such big clods sometimes. Listened to the Mentor Gala’s CELD continually on the way home in the quietness and aloneness of my car, wrapped in a cocoon of David’s voice and the faint guitar strings in the background. This one seems to come more from the gut, especially from the 2 min mark on, it rips your heart out. djafan: Still thinking about the mention of your ‘name’ on video. Of the 30,000 people who were said to be there that night, our own ‘djafan’ and The Voice get mentioned. Cool beans! paulafod: Great article. What is so great about a site like The Voice and articles like yours is that it reaffirms that “it’s not just me.” I suffer from the same symptoms, ODD and no one around who understands. Glad to read your article and all the comments. Makes me feel less alone in my love and admiration of one very special young man. MonkFOD: Thanks for letting us know about the international charts. I’m really excited to see that all of David’s music in in the top 10 on both charts! I would love to know how that translates as far as sales numbers. Is it as great as it sounds? I hope so. Does anyone have any idea? abrra, thanks for the TOSOD mp3. I’d give you the drumstick if I could. This article is pure love. You write about the nature of love itself and how simple and universal it is to every human being. I think many people we live amongst see a good-looking young man with a pretty voice and that’s all they see. If that was all there was to it, I would think I was crazy too, to be so attached to him still. If that was all there was to it, I would not still be here. For those of us who love him there was always the recognition of something much more. Something we saw clearly and others could not. Courage and grace in the face of adversity, praise for others, humility for himself. Total devotion to the pursuit of excellence in his life and music. It burns in him like a fire and we see it and are warmed by its glow. Dja!! What a sweet thing that guy did to mention you and The Voice! He even put a link to this site at the end of the video. She asked for a MGR of his eyes in FT. Wayne. Paula, thanks for the very sweet article. You have expressed exactly the way I feel. What’s so funny is that even though my kids and husband roll their eyes at me, I catch them humming or singing David’s songs all the time. Most the time I just smile to myself when I hear them. On the occasion that I have said, “Oh, that’s David’s song!”, they promptly stop singing and give me “The look”, (Ooops, busted)! So thrilled to see David topping the international charts! What a wonderful picture of Charice and David—#44! Wouldn’t any girl just die to have David look at them like that?!? Bebe, very very nice pictures. dja, can’t wait until after the holidays to hear your story. davidstopsmyaging, I was thinking the same thing about that picture! Paula your words felt like they came from my heart. I have long given up trying to explain my love for and about David. It just works for me in so many ways, especially when I find myself smiling or laughing or catching my breath because of something he’s done/said/sung. He’s changed my life. Today at work a co worker walked in and stopped cold listening to Abrra’s disc of the Xmas tour. “What beautiful music” she said, “who is that?” Oh my dear, how long do you have? 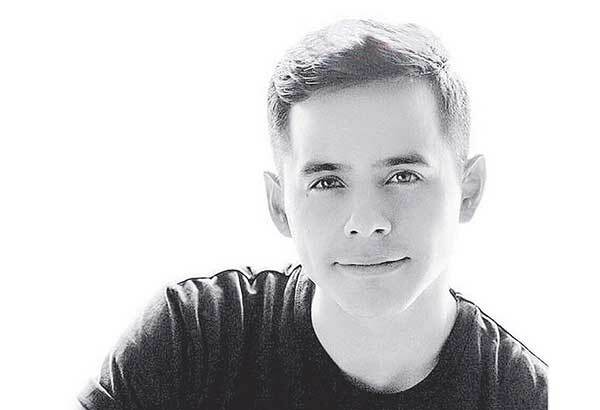 Reading your article and everyone’s comments make me realize how much we all respect and love David without expecting any reward in the same way. It’s beautiful and touching. David looks as tired there as I have ever seen him. Glad he’s finally off for the holiday. God bless you, David. Get lots of rest and eat loads of turkey and pumpkin pie. Take random naps. Run. Play in the snow. Watch cartoons and the history channel with your family and friends. Forget about us for a while. For just a little while take time for only you. We’ll be here. Good job articulating what we feel. And what everyone who meets David feels. People who don’t get it – well that’s their business. I don’t push it on them. It makes it all so much worse. My husband and I have had our issues with this, but he truly gets it now. It isn’t his cup of tea, but that’s ok. He gets that it’s mine. This is the third time he’s said that and I just cry every time. I don’t really know why. I don’t think it’s the relief of being finally understood. I think it’s just true. Just want to wish all the wonderful people that visit this site a safe and Happy Thanksgiving. Hope David made it back home before the rough weather in SLC. The pics in #44, I mean REALLLLLY. Who looks like that? ONE GUY. Didya hear him talking to that older lady before Crush in Ft. Wayne? HONESTLY he isn’t real. Someone tell me he is real. Ah, nevermind I don’t even care if he’s real or not. Who’s the guy on stage behind him in the pics in #44? He’s just smiling away. fg, noticed the ‘other smiley guy’ in the background too. I hope our smiley guy sleeps for 24 hrs. HAPPY THANKSGIVING to all at The Voice. This site is one blessing I am indeed grateful for. Have a wonderful day tomorrow and a safe one if traveling! Happy Thanksgiving everyone! Thank you all for your kind comments. It has been so touching to read all of your experiences regarding our ODD! (Betsy, I completely understand why you have tears when someone “gets” David and us!) Getting to know the Archies through twitter, articles, websites, etc., has been such a blessing in my life. Have a blessed holiday weekend, stay safe, and best wishes as we continue together on our journey with David! I know I told him above to forget about us for a while but I meant AFTER he made it to Utah. I’ll be relieved just to know he’s safe at home. Happy Thanksgiving to every single bless-ed one of y’all! 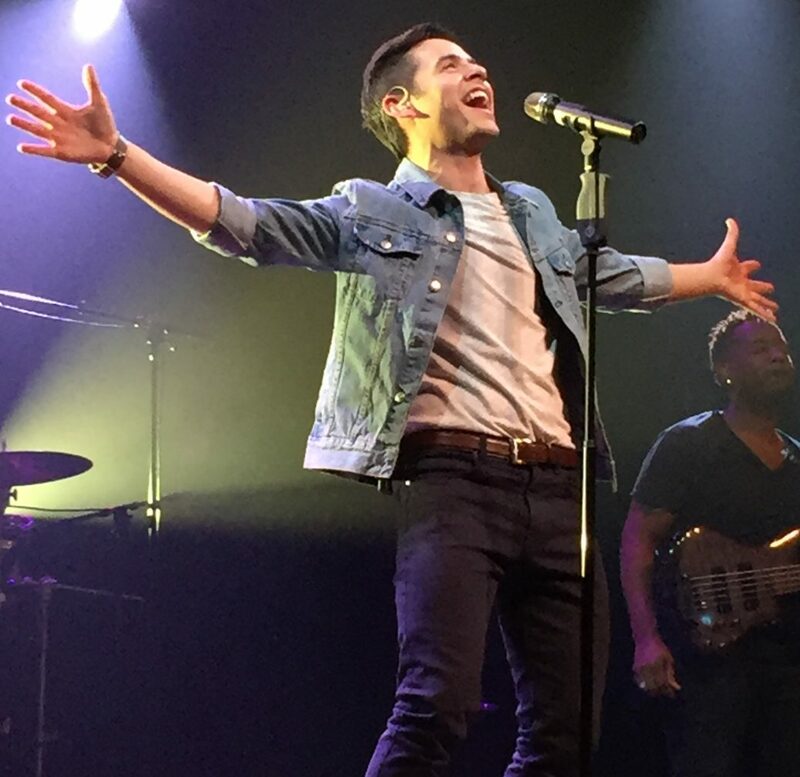 When I saw David’s tweet that he was in Boston yesterday and a later tweet that he’s ready for the holiday, I immediately thought of my daughter, aka, Miss Too-Cool-to-Admit-to-be-David-Archuleta-Fan, who goes to school in Boston and was flying home in the evening. I thought about texting her to let her know David Archuleta may be at the airport at the time she would be. I ended up NOT telling her about it – she may horrified that I know his whereabouts at any given moment. THEN, at 4:32 p.m., I got a breathless phone call from her. I got scared for a second, thinking something was wrong – I know she was at the airport for her flight about this time. 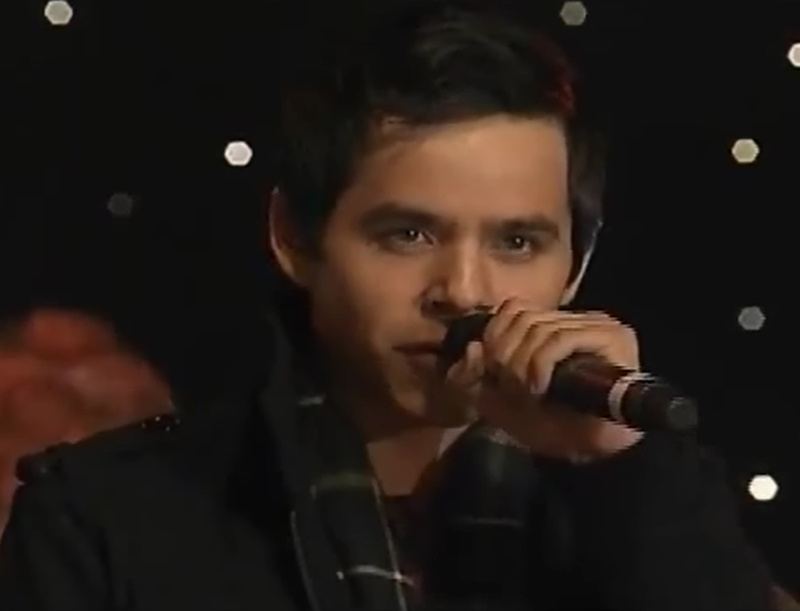 WAIT, did she just say DAVID ARCHULETA? End of call. I called Abrra immediately. I explained my phone call and we spazzed. At 4:45, the phone rang again. I properly debriefed her after picking her up from the airport, and here is more detail. As Daughter and Friend were walking to their gate, they saw him again sitting in the waiting area for a flight to Dallas (?!). (Dear MelindaWeg and Co. and/or Delta, please get working on providing David with first-class lounge for his flights. Thank you very much). He was sitting there and working on his laptop (reading up on favorite fansites?) Daughter and Friend walked up to him and asked him if he is David Archuleta. He said yes. (Smart question! 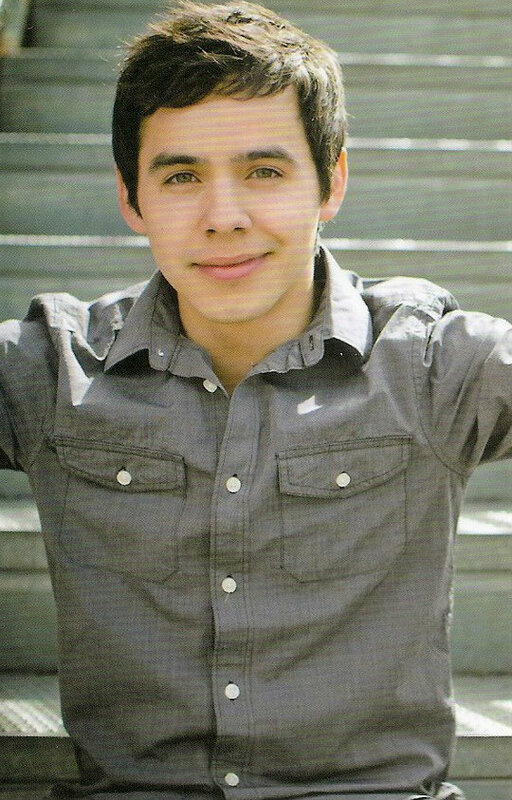 If they were to say you look like David Archuleta he probably would have said “people say that all the time”.) They asked if they can take a picture with him. The woman with him – who my daughter described as “someone who looks like his mom” – said to them: “are you guys going to scream? If you promise not to scream, I will take a picture of you guys and him.” Daughter and Friend gave their promise of no screaming and they took a picture with him. He chatted with them for a little bit. They asked him what he’s doing in Boston –shooting a video. He asked them what they are doing at the airport – go to school in Boston and flying home for the holiday. Daughter proceeded to tell him her mom is his number one fan and goes to every concert within 200 miles radius (Busted!). According to Daughter, he sounded raspy, almost like he lost his voice. (Yikes!) During the entire encounter, he was concerned about being recognized by others and causing a scene. Fortunately they were able to leave him how they found him –alone. Is she a fan? I still don’t know. In her own words, she and her friend were “hyperventilating” while they talked to him. Apparently, even when all worn out and tired, in his travel-smelly hoodie and undone hair, he has this effect on people. Postscript: Daughter posted the chance encounter on Facebook and Twitter, and received many responses from her (college-age) friends, spazzing for her! I guess he’s got quite a few fans among this age group! Jive, how about some proper marketing, please? Oh, and flight to Dallas? I hope his family is meeting him there for a warm Thanksgiving. Your daughter is so sweet. I bet she took photo with David because she knew this would make you so happy!! And I want to wish everyone, admins and commenters, HAPPY THANKSGIVING. When I think of all the things I have to be greatful for this year, The Voice will be included. Thanks for such a warm and welcoming “David” place! Love this recap of your daughter’s encounter with David at the airport. Hilarious skilz you have at seeming blase’ while inwardly spazzing. YJ, one of THE best-told David stories ever! Still laughing over the proper debriefing, lol. YJ! Thanks for the recap of your daughter and David’s encounter. Glad to hear she and he are safe! I’m hoping David get’s lots of warmth,sunshine,love,rest,rest,rest this week. Thank you to all the admin and writers here @ the Voice as well as all the posters who come by. I wish you all a very Happy Thanksgiving and all the best always. Paula, again your love article warms my heart, thank you and all who commented. YJ, I started reading this thread with tears, then feeling all warm inside, now I have tears of laughter, what a great telling of events. You have a way with words. It sounds to me that daughter may just be a fan. I want to wish you all a great Thanksgiving filled with family, friends, and David! Paula, Thank you again for your beautiful writing! Glad you guys enjoyed my surrogate recap. Thank you Angelica, djafan, bebe and Abrra for providing us with a forum to share our love for David. I am grateful for my d-Friends! Beautiful letter, I’ve posted the entire letter on the right sidebar. Many people wonder why I am such a fan of yours. I have been an admirer of only a few celebrities, most notably, the Beatles when I was thirteen. What is it about you that draw people from all ages and walks of life? Mothers, daughters, grandmothers, sons, fathers and grandfathers admire you. Each of them has their own reasons and has their own stories to tell. Wow…I “LOVE” this article! I can so relate. Paula, you’ve put into words, so well, what I (and I suspect many of us) have too pondered (to no resolution on my part! ), reflected upon, wondered…and I still don’t understand some of the people closest to me reacting so strangely when it comes to David. I summed it up at one point with…it wasn’t about David, maybe it was my “over the top” reaction to him that “scared” everyone…so I toned it down. I’d rather share with those that “get it” anyhoo. Anyway, this article was beautifully put. David and all of what we share seems to remain a bit of an enigma, I guess. It’s all part of the magic of it. omg. #67…now THAT is my homegirl. Haaaaahaaa. I say ya can’t keep a good Archufan down! …ok, maybe I’ve earned just a fewwww of the weird reactions from friends..
Jen A, thanks for the invite! It would be great to hang out with someone who gets it! I saw David last year when he came to Atlanta! I proudly wore my Arch Angels t-shirt and screamed so much I couldn’t talk for days. Teen girls were actually laughing at me. The great thing about being this age is that YOU DON’T CARE!!!!! I hadn’t had as much fun since seeing Donny Osmond in the 70’s! David has a challenge for us! So many nice stories today…. That picture of David and your daughter, together with the background story is something I’m sure you will always treasure! A safe, warm and Happy Thanksgiving to everyone! Thank you Paula. You put into words what I truly feel and hold dear. God bless you and everyone on this site! Hello and welcome back! I love that video too. Never thought of jamming to Pat a Pan but, oh yeah, I can now. lol. I like your quote too, “The great thing about being this age is that you don’t care!” Reminds me of Towanda! On another note, I took David up on his challenge. When his tweet came on my phone I left off cooking for Thanksgiving tomorrow and walked next door. Our neighbor to the right is a man who went through a divorce a year ago and is all alone now. I had not spoken to him for so long but we chatted awhile and I invited him to Thanksgiving dinner tomorrow. He said he was going to his granddaughters house in the morning for the whole weekend but seemed really appreciative of the offer. 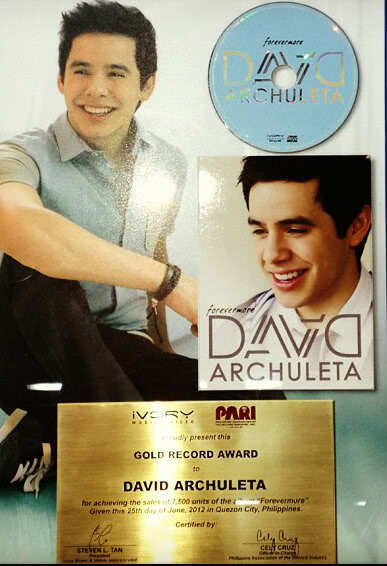 On Twitter, I noticed a #ThankyouDavidArchuleta campaign. Please remember to include the hashtag (#). ((((vlm)))) I haven’t forgotten. Soon. And On that note I GOTTA log off for tonight~But HAPPY THANKSGIVING To EVERY DAVID PEEP IN DAVID LAND! This challenge of David’s. Could he be any sweeter? World changing? Good? Loving? Caring? David will appear in Kaleidoscope in San Antonio! Air date: December 19 on FOX. He brings them to tears, tears of joy! “A video that my sister took of when I got to talk to David again! This was taken at a CD signing after his Jefferson Pointe performance. I’ve met him 6 times at this point, and he still remembers me and knows who I am now! Jen I’d be happy to help Gwen and you exchange emails. This was something that reminds me of David’s positive outlook. It was not signed, so I can’t give proper credit to the author. I found this cartoon amusing. I live near a turkey farm. I cringe if I have to drive by. Happy Thanksgiving to all on the Voice and to the Voice himself. He’s earned a well deserved break. Today is a big day. Not only thanksgiving, but my newborn grandson preemie boy is finally coming home today and…. tada… it’s my birthday. This will hold me over til the flight to SLC for MOTAB. Woooo. I’m thankful for my husband, my family, friends, my health and home and all of you. I’m thankful for David who gave me back my joy and opened the door to so many wonderful people who have entered my life. God bless you all. Happy Birthday and congratulations on your grandson’s homecoming today! Happy Birthday River! And Happy Thanksgiving to everyone at The Voice! You are all at the top of my list of things to be thankful for. I am so grateful to have this haven for all things David. 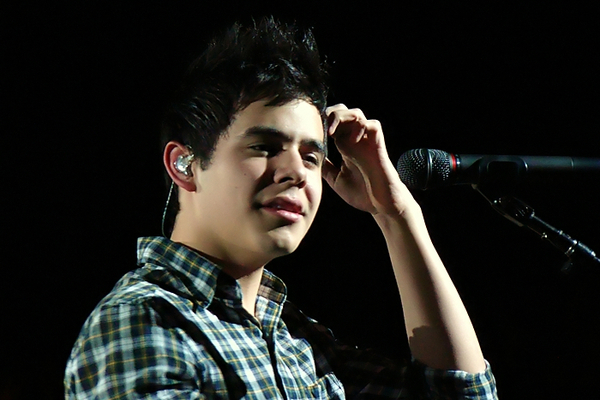 Paula, you really nailed the things we love about David. His limitless kindness and integrity. 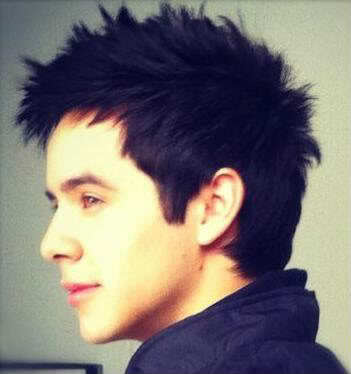 My family has noticed that David has changed my life for the better and they are all supportive of my David addiction. I do not remember ever being told by a celebrity to do something nice for my neighbor. I am wondering how many neighbors were affected by David’s tweet. How many lives he has touched with a few simple words. David has an army of fans to carry out his wishes to make this world a place of caring for each other. Gotta love him. HAPPY THANKSGIVING to EVERYONE at THE VOICE!! Happy Birthday to you, River! What a wonderful Birthday present for you,such a blessing! Abrra,thank you for sharing your #90 post, that does certainly remind me of David’s positive outlook. Angelica, thanks for the video reminder of that scene from Fried Green Tomatoes!!HAHAHA! My favorite scene from that great movie! Triggered a memory from years ago when I ventured out bravely(ok,stupidly) to the mall for an Elmo toy on a Black Friday.Got a early prime parking space, but still no Elmo. Returning to my car to leave said mall,I was in a rush, and acidently slammed my finger in the car door. Grimacing in pain, I thought I was going to faint, so I got out of my car, and got back into the back seat to lie down .I heard the loud repeated honking of a car horn,and then the next thing I knew a man was standing at my open door where my legs were dangling out yelling at me…”lady,I have been sitting here waiting, are you gonna back out of this space or what!! ?I don’t even remember what I said,something like,@!##%^^* but he left quickly… I do remember holding up my injured middle finger. A huge Thanks to all of you wonderful people here at The Voice. Angelica #93, I am thankful to David who gave me back my joy…. Angelica, I feel similarly. Between the inspiration of David, and the encouragement of all of you, I feel like I truly am “looking around” and seeing a world that is a better place than I thought it was, and seeing my potential to make it even a better place. Dayzee, “I do not remember ever being told by a celebrity to do something nice for my neighbor. I am wondering how many neighbors were affected by David’s tweet. How many lives he has touched with a few simple words.” Your simple words put it in a nut shell. It’s such a warm feeling to read all these wonderful, heartfelt greetings from regular posters and those I haven’t heard from in a long time. What a comfort it is knowing I can express my feelings surrounded by such lovely people! I hope all of you are having a blessed Thanksgiving Day filled with love of family, friends, good food, and The VOICE’s awesome music! and Congratulations on the birth of your grandson, too! O.K.—just read David’s tweet about doing something kind for a neighbor. Took some pumpkin bread next door to my cranky old neighbor–(the one that always throws his dog’s you-know-what over our fence). Anyway, shocked his socks off—he couldn’t stop saying “thank-you” and shaking my hand! I’m smiling from ear to ear. Thank you, David–Feeling your love today, that’s for sure! Happy Thanksgiving to everyone here at The Voice. Happy Thanksgiving to everyone here at The Voice (esp to Angelica) from this side of the world! This site is my daily dose of sunshine! Thank you for this beautiful article, putting my thoughts into words! My friends don’t get why I like him so much and often seen impatient if I talk about him. It’s made me sad that I don’t know any fans personally but to have him in our lives is a blessing in itself. He has allowed us to all come together and become a family, always helping each other out and following his positive examples. People of all ages relate to him and reading your article makes me realize that even more. Thanks again! MandaGrace is it your birthday too! A big huge Happy Thanksgiving hug to everyone at The Voice!!!! Love you guys!!!! Thank you so much for your article. I admire all the writers here and their wonderful voices and how this all encourages people to share. I am very grateful – so grateful – that I do not know what is coming, that somehow as I yield to life my heart and mind yield to joy. I am grateful to the God that makes this possible. And I am grateful here on these sites (esp. this one), that DA and his “breath-of-life” stance on joy is celebrated. Thanks to all. And thanks to DA. Paula, I realize I forgot to add that I enjoyed your exceptional “love letter”. 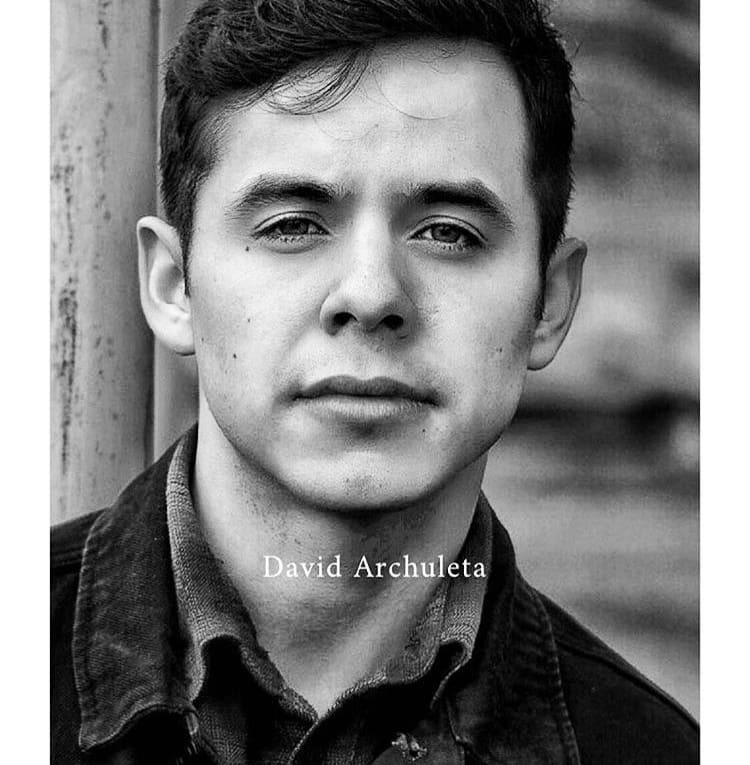 Paulafod thanks for your article you speak for most of us, it’s a pat on the back for me to know that I’m not alone in this strange phenomenal that is Mr. David Archuleta. I agree with Lynnella’s #16 theory that those who feel like we do about David have been handpicked by God hard to swallow since I’ve never been a fan or follow anyone let alone a 19 year old singer whom I look up to (what!!!) but it’s really true since I can’t find any better explanation! !